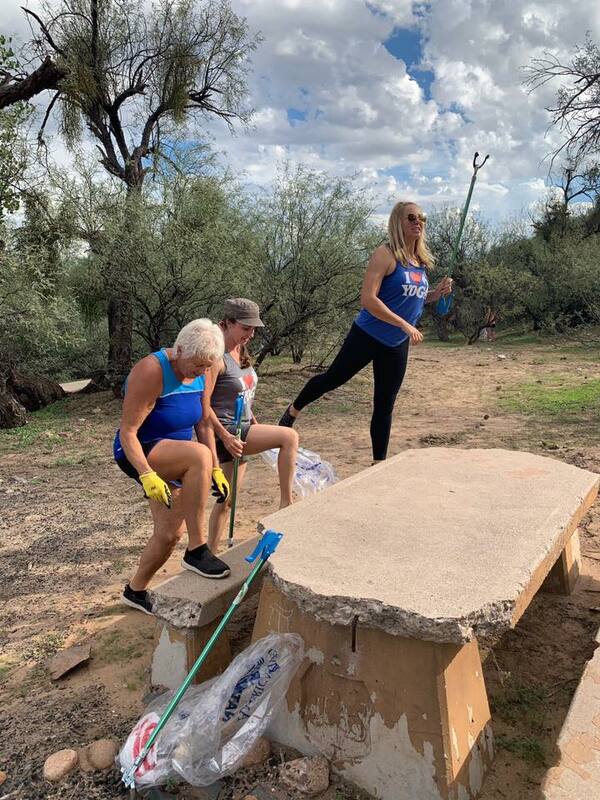 Arizona Goat Yoga has teamed up with Natural Restorations to offer plogging! 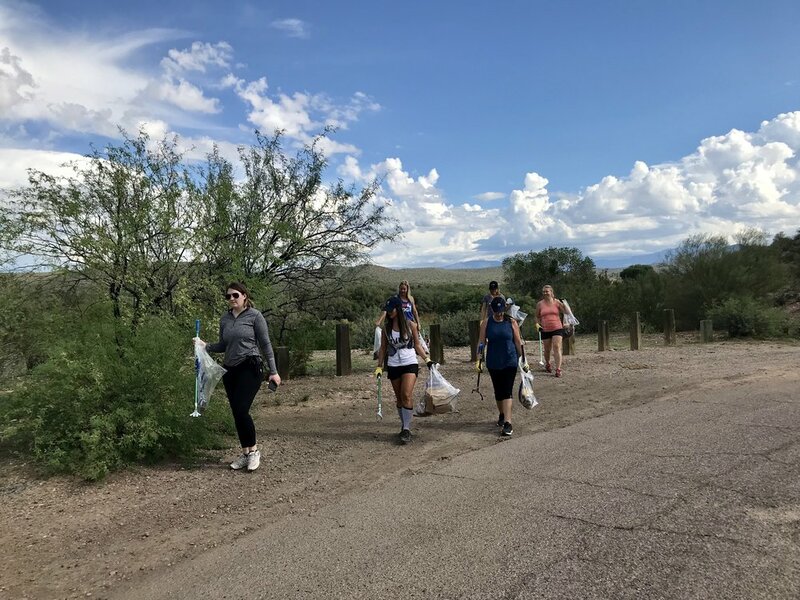 What is Plogging? Picking up trash while jogging! This exercise-eco-friendly activity started in Sweden and has spread across the world! With increased concerns about pollution, people everywhere are making their workouts good for the Earths health too! Instead of cursing trash as you jog by it, why not pick it up?! It’s like a treasure hunt every time you head out. The action of picking up trash stretches the back, hamstrings and calves. It’s multitasking at its best! Why is Goat Yoga involved? 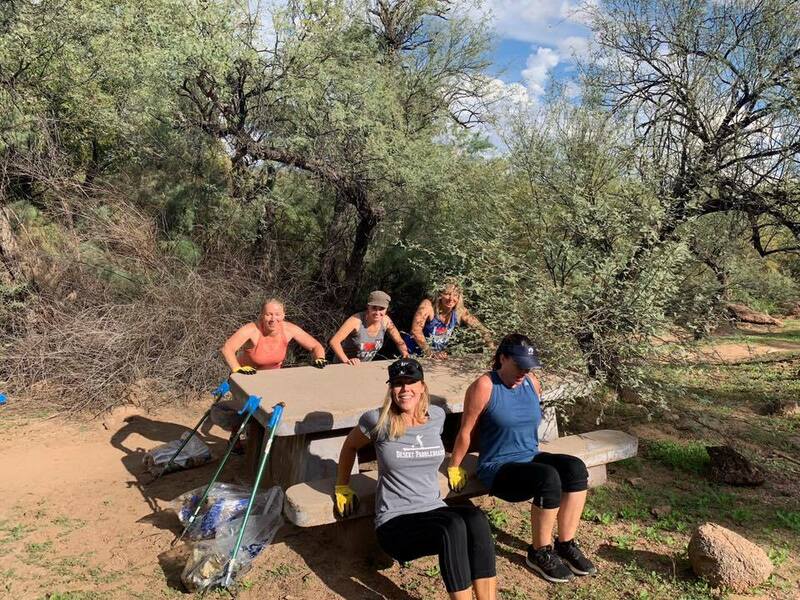 Plogging connects you with nature. Plogging locations have wildlife that can be harmed by the trash people leave behind. Just like in a Goat Yoga class, spending time in nature improves your heart rate, blood pressure, cortisol and even our immune systems. Its a fun way to Save The Earth and get a workout! Goats even come sometimes! GET YOUR PLOGGING ON! Bring your sweatbands and energy, we’ll pick up as much trash as we can while we jog! Click the Events Calendar button below to join us at an upcoming event. We also welcome tax deductible donations if you would like us to plan a Plogging event for your group. If you have any questions or would like more details, please click HERE to contact us. 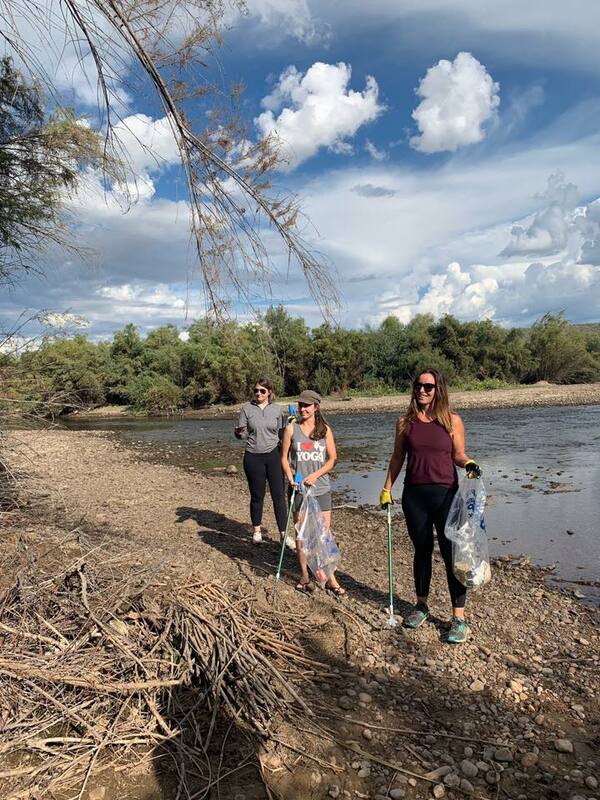 Check out pictures from our Plogging Event with AZ Goat Yoga and Visit Mesa along the Lower Salt River. 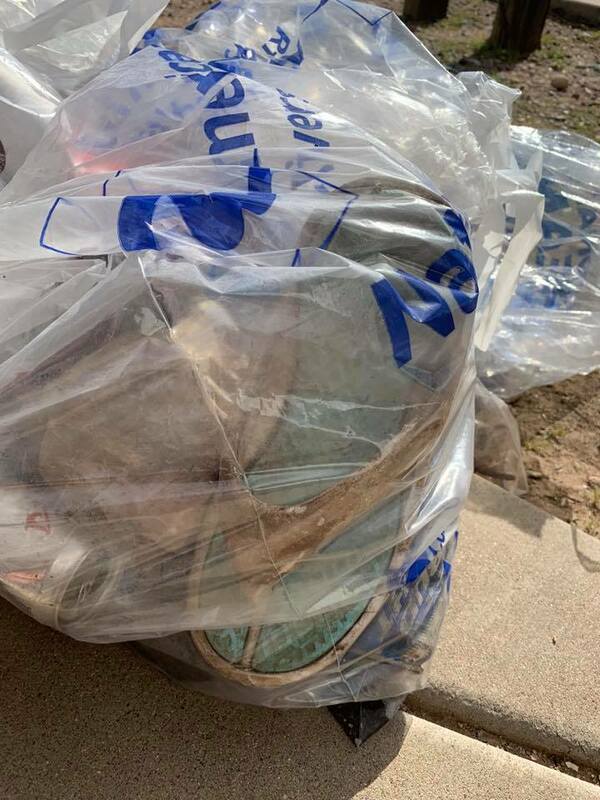 In less than two hours, we removed over 100 pounds of trash! 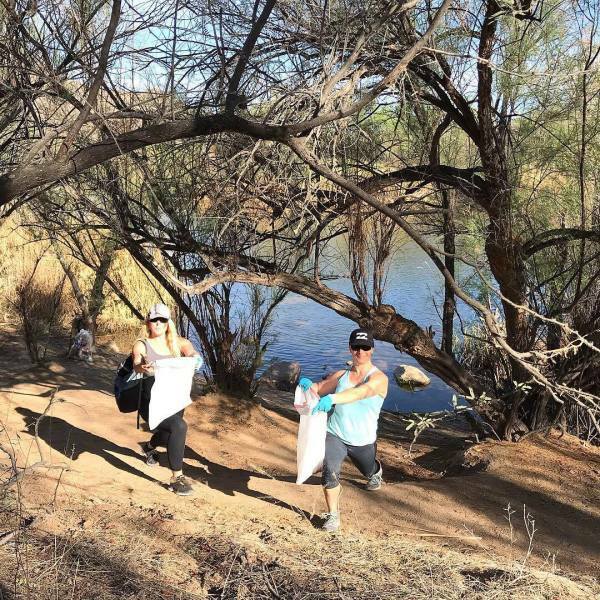 04/02/18 Plogging at Natural Restorations Day After Easter Lower Salt River Cleanup.